This auction is mind-blowingly incredible! Rock icon Jane Wiedlin has offered a pair of her personal A-section tickets for the final show of the Go-Go’s Farewell Tour at the Greek Theater in Los Angeles, CA on August 30, 2016, PLUS backstage passes for after the show! As the winning bidder, you and your guest will also receive access to Jane’s secret after-party! You will be Jane’s guests at a private party after the show where you’ll be able to get autographs and photos with Jane and party like a rock star! 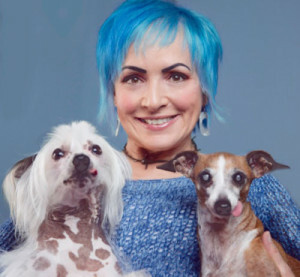 Jane Wiedlin has made this wonderfully generous offer to benefit TLC (Tiny Loving Canines) dog and cat rescue shelter. 100% of the proceeds for this special auction will go to TLC, Ventura County California’s only full-time, absolutely no-kill rescue shop. TLC has been forced to move from their current location and are in the process of buying a building of their own, so the funds raised from this auction are badly needed at this time. Your winning bid will not only give you the dream concert experience of a lifetime, but it will help to save over a hundred wonderful animals in dire need and help them to find their forever homes! TLC is a 501c3 nonprofit, registered with both the I.R.S. and the State of California as a charity (26-4639832). This auction is for tickets, aftershow passes and entrance to Jane’s private after-party (location to be disclosed to winning bidder) only. The winning bidder must provide his/her heir own transportation, lodging, etc.